In the movie Shawshank Redemption, there's a powerful message Andy Dufresne (Tim Robbins) tells his friend Ellis "Red" Redding (Morgan Freeman). "I guess it comes down to a simple choice, really, get busy living or get busy dying." Business, like life, comes down to taking advantage of new opportunities and continue growing your company and career. There's no better opportunity to do this than at the 2018 ALTA SPRINGBOARD. 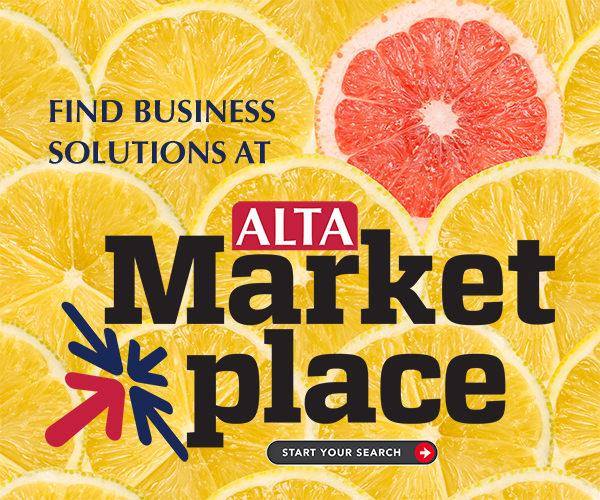 ALTA SPRINGBOARD will guide you on a customized journey and deliver unprecedented insight, knowledge and connections so you can confidently seek new opportunities for your company. What You'll Learn: Our expert will share what you should be doing to deliver a customer experience worth talking about. You'll leave knowing how to implement a process that won't kill your company as you work to make your customers' butts look good. What You'll Learn: You'll leave understanding what your company can do to help remove barriers to implementation and remain competitive. Finding the right balance between convenience, security and risk are all issues that must be considered as we build a road to smarter closings. Speakers: Cynthia D. Blair NTP, Founding Member, Blair Cato Pickren Casterline LLC; Dawn E. Moore, Chief Executive Officer, Allegiance Title Co.
What You'll Learn: Hear from your peers how they raise awareness and train staff, as well as the vendors they use. You'll leave with ideas on how to work with industry partners to help educate consumers and what to do if there is a monetary loss. Plus, take advantage of Brain Dating!